Barber agreed Wednesday with the Buccaneers on a one-year contract, Rick Stroud of the Tampa Bay Times reports. Analysis: Barber showed some signs of life during the second half of the 2018 campaign, but he didn't do enough to prevent the Buccaneers from actively seeking upgrades in the backfield. Whether it's 2018 second-round pick Ronald Jones or an offseason acquisition, Barber likely will face a serious challenge for the starting job. The new contract is in lieu of a restricted free-agent tender. Coach Bruce Arians praised Barber when addressing the media at Wednesday's NFL Scouting Combine, Rick Stroud of the Tampa Bay Times reports. Barber rushed 15 times for 66 yards and brought in his only target for two yards in the Buccaneers' 34-32 loss to the Falcons on Sunday. Barber rushed 17 times for 43 yards and brought in all three of his targets for 13 yards in the Buccaneers' 27-20 loss to the Cowboys on Sunday. 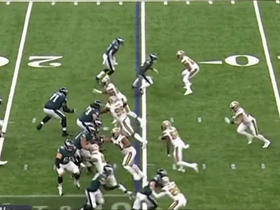 Analysis: Barber was repeatedly stymied on the ground by a stingy Cowboys front, leading to fourth sub-50-yard tally of the last five games. Barber has been at 3.0 yards per carry or worse in all four contests, as the Tampa Bay offensive line has consistently had trouble creating running lanes. The 24-year-old will try to close out the season on a strong note against the Falcons in Week 17. Barber rushed 19 times for 85 yards and a touchdown and brought in both of his targets for four yards in the Buccaneers' 20-12 loss to the Ravens on Sunday. Barber rushed 14 times for 42 yards and brought in one of his two targets for two yards in the Buccaneers' 28-14 loss to the Saints on Sunday. Barber carried 16 times for 45 yards and a touchdown Sunday against the Panthers. He also lost a fumble in the 24-17 win. Barber (ankle/shoulder) doesn't carry an injury designation into Sunday's game against the Panthers, Greg Auman of The Athletic reports. Barber (ankle/shoulder) was listed as a limited participant in Thursday's practice, Greg Auman of The Athletic reports. 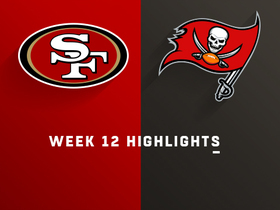 Barber rushed 18 times for 47 yards and a touchdown and brought in both of his targets for 16 yards in the Buccaneers' 27-9 win over the 49ers on Sunday. Analysis: Although he encountered tough sledding on the ground, Barber was able to burrow into the end zone from two yards out just before the midway point of the third quarter for his third touchdown of the season. Barber's 2.6 yards per carry marked the fourth time this season he's been under a 3.0 figure, but the 24-year-old continues to be free of any competition for his lead-back duties. He'll look to make it three straight games with a score against the Panthers in a Week 13 divisional battle. 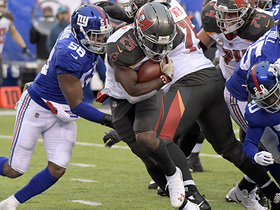 Barber rushed 18 times for 106 yards and a touchdown and brought in both of his targets for four yards in the Buccaneers' 38-35 loss to the Giants on Sunday. Barber (ankle/shoulder) was a full practice participant Friday and doesn't have an injury designation for Sunday's game against the Giants, Greg Auman of The Athletic reports. Analysis: With Ronald Jones (hamstring) out for at least one more week, Barber doesn't have much competition for carries against a Giants defense ranked 19th in yards allowed per carry (4.4) and 24th in rushing yards allowed per game (122.6). Of course, we've already seen Barber faceplant in some favorable matchups, averaging just 3.7 yards per carry and one catch per game in a pass-heavy offense. Barber (ankle) was a limited participant during Thursday's practice, Carmen Vitali of the Buccaneers' official site reports. Barber (ankle/shoulder) was limited at Wednesday's practice, Greg Auman of The Athletic reports. Analysis: Barber has tended to an ankle injury for a few weeks at this point, but the shoulder issue is new. Still, he was able to handle individual drills at least, so it's a good bet he'll have the designations removed by the final injury report for a fourth consecutive week. Barber could have less competition for reps Sunday against the Giants if rookie Ronald Jones, who was limited in practice Wednesday with a hamstring injury, remains hindered. 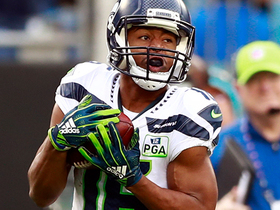 Barber rushed for 61 yards on 13 carries and added a 5-yard catch during Sunday's 16-3 loss to Washington. Barber (ankle) was a full practice participant Friday and doesn't have a designation on the final injury report for Sunday's game against Washington, Greg Auman of The Athletic reports. Analysis: Barber played through the same injury last week, picking up 40 yards on 13 touches in a 42-28 loss to the Panthers. He should get a few more opportunities this weekend, as Ronald Jones (hamstring) is still unavailable and the Redskins may struggle to stay competitive while dealing with a slew of significant injuries. Of course, Barber hasn't done anything to inspire confidence. Barber (ankle) was listed as a limited participant at Thursday's practice, Greg Auman of The Athletic reports. Barber (ankle) was a limited practice participant Wednesday, Greg Auman of The Athletic reports. Analysis: Barber played through the same injury in a 42-28 loss to Carolina on Sunday, taking 11 carries for 31 yards and catching two of three targets for nine yards. He'll have a better chance to take advantage of Ronald Jones' (hamstring) likely absence in Week 10, as the Buccaneers will draw a home matchup with the injury-riddled Redskins. Jones was a non-participant Wednesday and will most likely be ruled out for the weekend at the conclusion of the Bucs' final practice Friday. 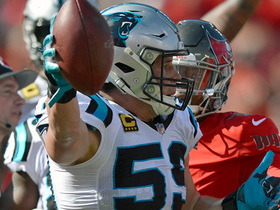 Barber rushed 11 times for 31 yards and brought in two of three targets for nine yards in the Buccaneers' 42-28 loss to the Panthers on Sunday. 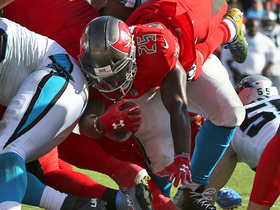 Analysis: As has been the case in most games this season, the Bucs were forced to abandon the running game due to the fact they were facing a sizable deficit. That led to Barber's fifth game with under 40 rushing yards this season, as well as a decline of eight carries from his Week 8 total against the Bengals. Barber has naturally had a difficult time getting into any sort of rhythm with his inconsistent week-to-week usage, something he'll hope to work toward rectifying against the Redskins in Week 10. 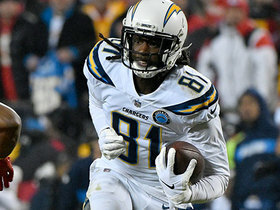 Barber (ankle) practiced fully Thursday, Jenna Laine of ESPN.com reports. 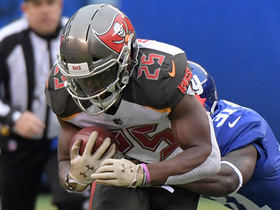 Tampa Bay Buccaneers running back Peyton Barber powers in 3-yard touchdown. 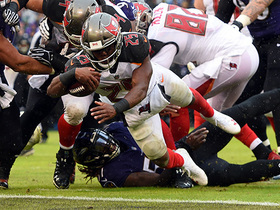 Tampa Bay Buccaneers running back Peyton Barber rushes for a 1-yard touchdown. The "NFL Fantasy Live" crew discusses which players picked to perform in Week 12 lived up to expectations. 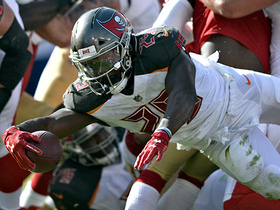 Tampa Bay Buccaneers running back Peyton Barber rushes and dives over the goal line for a 2-yard touchdown against the San Francisco 49ers. 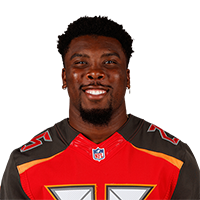 Tampa Bay Buccaneers running back Peyton Barber hits the outside and rushes for a 28-yard gain.